MEDWAY – Are you homebound because you don’t have access to transportation? Are you dependent on a family member or friend to get you to doctor’s appointments, grocery shop or just to visit friends? If this is you or sounds like someone you know Thrive Penobscot wants to hear from you. homes for as long as possible. Part of the group’s mission is to connect resources – food pantries, health and wellness, and transportation – with those in need. 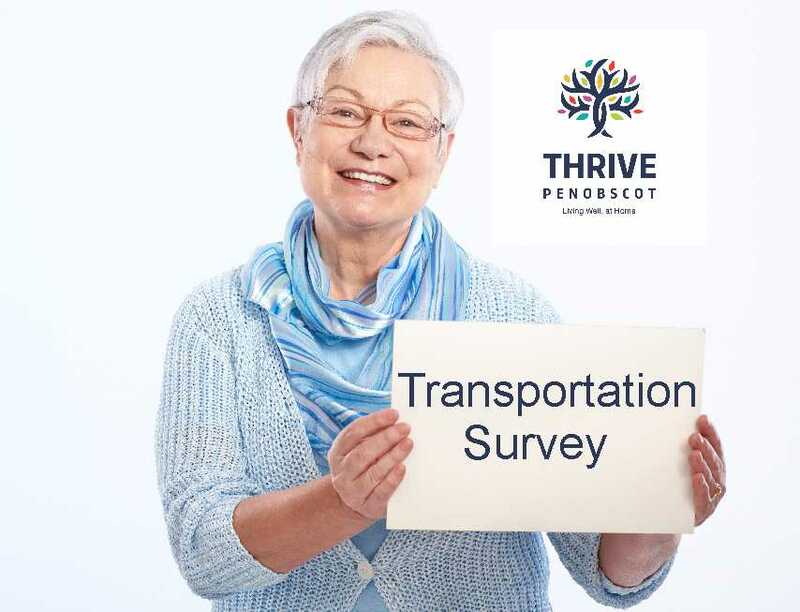 Currently Thrive is partnering with the University of Maine’s Center on Aging to interview people who have transportation issues in the Katahdin region and to collect information for solutions. Danforth said transportation issues in rural communities are not new, and it’s been a topic of several Thrive meetings to try and find resources and brainstorm solutions. In order to find those solutions you need data and information from those most in need. Danforth said she is looking for a survey sample that well represents the tri-town area and hopes selectmen can help. She said if anyone knows of a person or persons who have transportation issues and would be willing to answer a few questions to please call Danforth at 723-5288. She also explained that a short transportation survey for all Katahdin region residents will soon be available and it would be great if selectmen could suggest some drop offs for the surveys. Knowing that everyone’s time is valuable, Danforth said she has $25 Hannaford gift cards for those residents who complete an interview. Residents who take the paper survey will also be eligible for a gift card drawing. Danforth said if anyone wants to be trained to conduct interviews she’d like to hear from them too as training is provided. Selectman Emery “Jeff” Lee IV asked if Penquis was still servicing the area. chance to meet and get to know each other. The information will also be used to hopefully start a volunteer service in the region. She said there are individuals and organizations that already give rides but the service needs more organization and a central location. The information gathered will also be given to the towns for their use, Danforth said, including their comprehensive plans. It will be used to pursue grants to help with the formation and funding of a volunteer group. Selectman Jane McLaughlin wanted to know if the new transportation group would be open to helping everyone, not just senior citizens, and Danforth said yes. Administrative Assistant Kathy Lee said she’d be happy to hand out surveys and collect them at the town office when they are ready. All board members agreed there is a need for more transportation options and knew of people who had transportation issues. Danforth said those issues and concerns are important to note so they can be addressed and solutions found. The paper surveys are anonymous and individual interviews are confidential.